Not just something special for the hobbyists, the stars have long fascinated people of all types. Wouldn’t it be something special, to find a whole bunch of them clustered together? These star clusters can sometimes be seen with the naked eye, recognizable not as a single star or point, but rather an indistinct, foggy spot in the night sky. That stars would sometimes be found in such clusters is not coincidence. These stars have a common history and often don’t leave their “herd”, even until the end of their existence. That is why the stars are only a few light years apart and remain together as a result of each’s individual mass. Sometimes, however, a single star will break out of the herd. 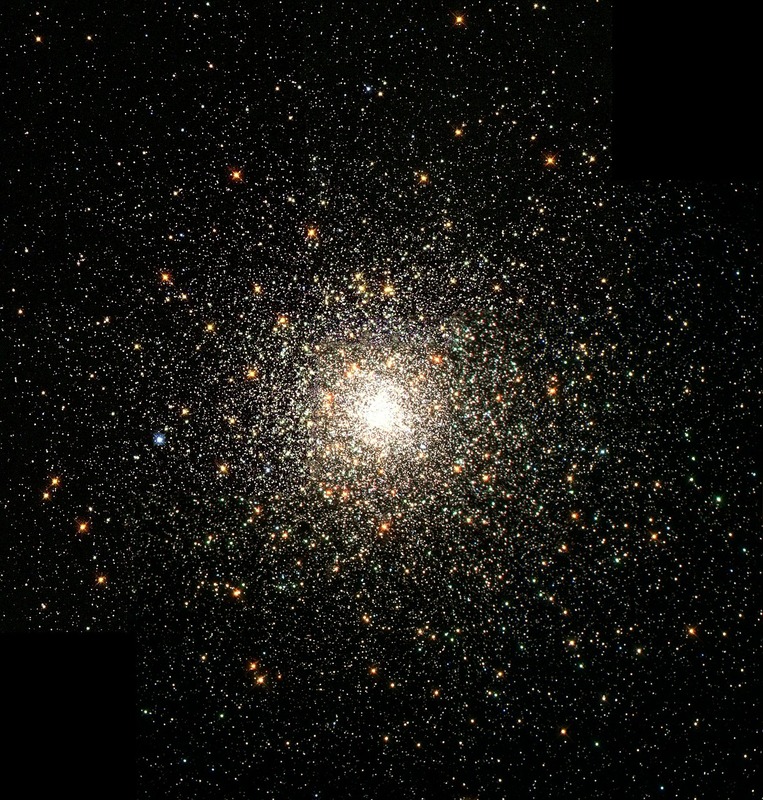 A globular cluster – as the name entails – takes on a round shape. Seeing a globular cluster is well worth it, because you are able to view an especially large number of stars in one glance. In the center, the stars are “packed” closely together. As you train your gaze outward, you will notice that the stars closer to the periphery are much further apart. Some of these individual stars at the edge of the globular cluster can even be made out with a good telescope. One of the most famous globular clusters is found in the constellation Hercules: globular cluster M13. Mainly visible in the Summer months, whether northern or southern hemisphere, this object can also be made out in the Spring on the eastern horizon. The Milky Way also hides clusters. In its halo, 150 star clusters have already been identified. Many more exist, with certainty, but have yet to be discovered. The stars of open star clusters are, in contrast to globular clusters, loosely bound together. Even the star density of these clusters is quite large, but not as condense as in globular clusters. Open clusters also consist of far fewer stars and are generally younger than globular clusters. While they can be up to 10 billion years old, open star clusters are often only several hundred million years old and won’t ever be more than 1 billion years old. The reason for this phenomenon is that the stars are so loosely bound, that they often separate from each other with time.